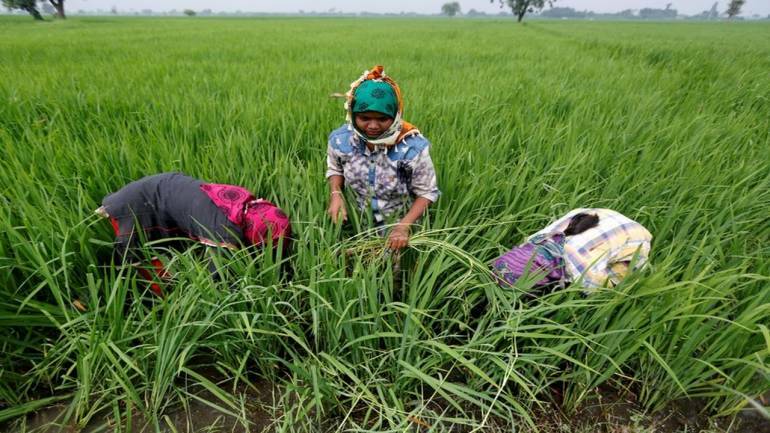 Rice export prices in India slumped this week as the rupee fell and demand remained weak with buyers expecting further dips, while low supplies and the prospect of a new deal with the Philippines pushed up prices for the Vietnamese variety. "Rates are down due to the rupee and weak demand. Buyers are postponing purchases expecting further falls in prices," said an exporter based at Kakinada in the southern state of Andhra Pradesh. The Indian rupee has fallen 13 percent so far in 2018 and hit a record low on Wednesday, increasing exporters margins. In Vietnam, however, rates for benchmark 5 percent broken rice rose to $400-$405 a tonne from $397-$403 last week on tight supplies and rising demand. "The Philippines is about to announce a plan to buy an extra 133,000 tonnes, while supplies are running low," a Ho Chi Minh City-based trader said. Meanwhile, the World Economic Forum held in Hanoi from September 11 to 13 saw Cambodian Prime Minister Hun Sen encouraging the Mekong region to establish an association of rice exporting countries. In Thailand, benchmark 5 percent broken rice prices were little changed at $390-$393 per tonne, free on board (FOB) Bangkok, compared with last week's $385-$393 as activity remained slow, traders said. "There's so little market activity lately that traders are just taking naps," a trader in Bangkok said, adding that he has tried to convince buyers to make purchases now when the prices are considered low for the grade. Thailand had exported 7.65 million tonnes of rice this year up until last Friday, according to the latest commerce ministry data. Another Bangkok-based trader said he expected demand from the Philippines and Indonesia to pick up in the coming weeks due to recent natural disasters in the two countries. "Prices have been at this level for a while and shouldn't go any lower. Prices are actually expected to increase because of anticipated demand from the Philippines and Indonesia," the trader said. Elsewhere, Bangladesh, which stepped up its imports last year after floods destroyed its crops, has procured more than 1.1 million tonnes of rice locally so far to build state reserves, after output of the grain revived. "We are getting a good response in our local procurement drive and will continue it," a food ministry official said.